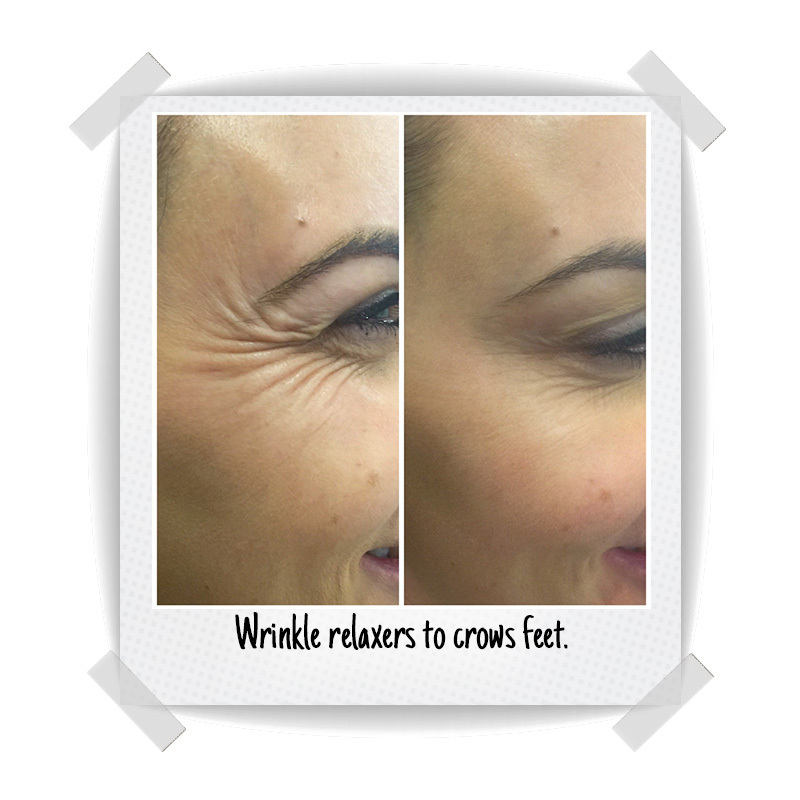 Wrinkle Relaxers are a purified protein that when injected into a muscle in the correct dose prevents muscle contraction. When used in cosmetic treatments, we use very small doses to relax the muscles causing fine lines and wrinkles. The results give a smoother fresher appearance to the face. For example, if you can’t frown, you’re not going to create that deep line between the brows. 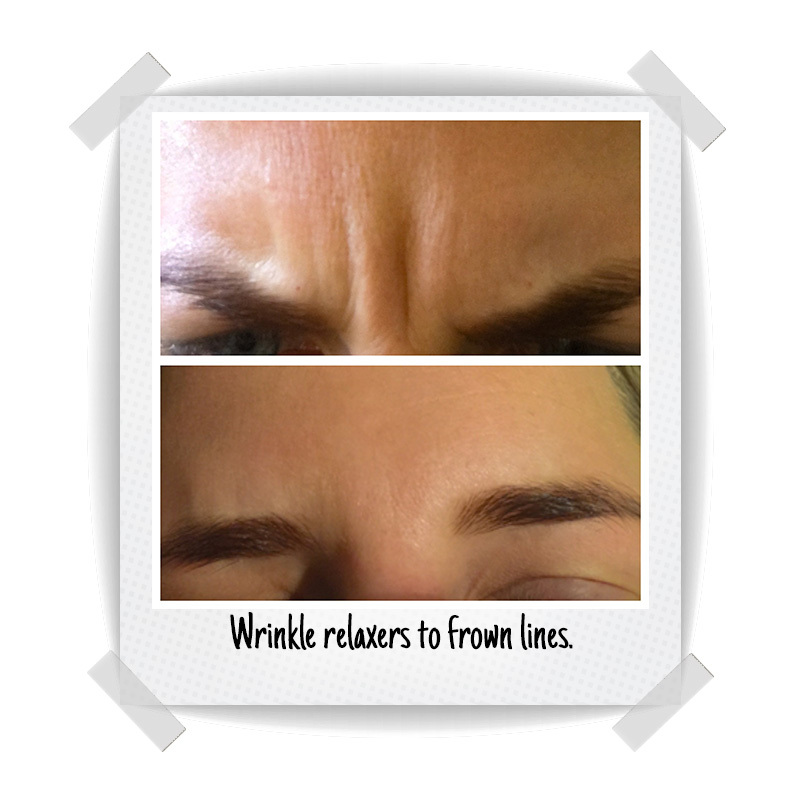 Wrinkle relaxers are great as a preventative for lines in the frown, forehead and around the eyes. 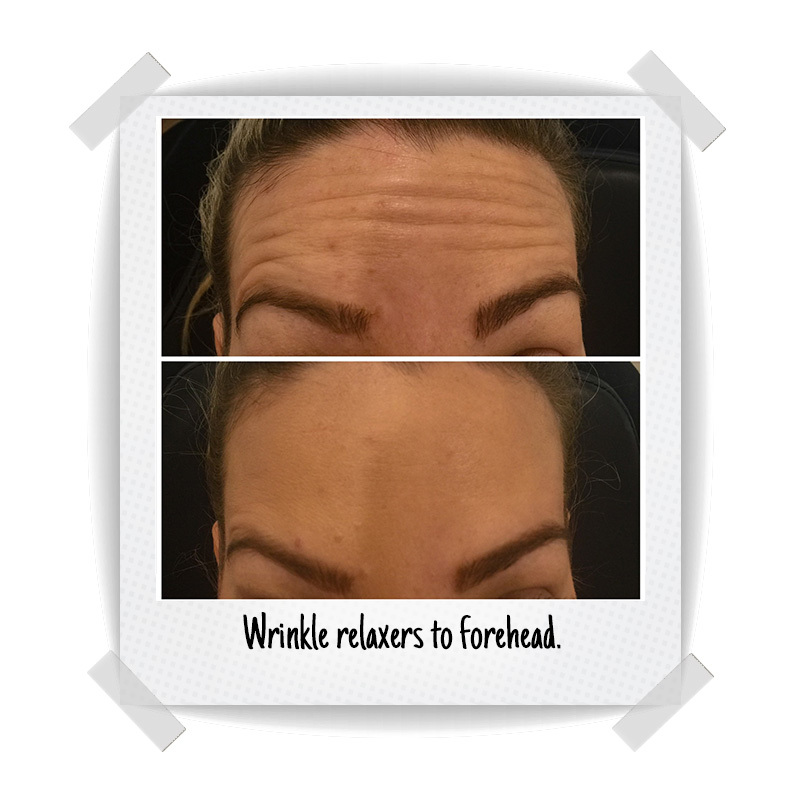 If the lines are left untreated and become very deep lines, wrinkle relaxers will only soften them and you may need to consider filler. They last around 3-4 months but this does depend on the dose and the individual. 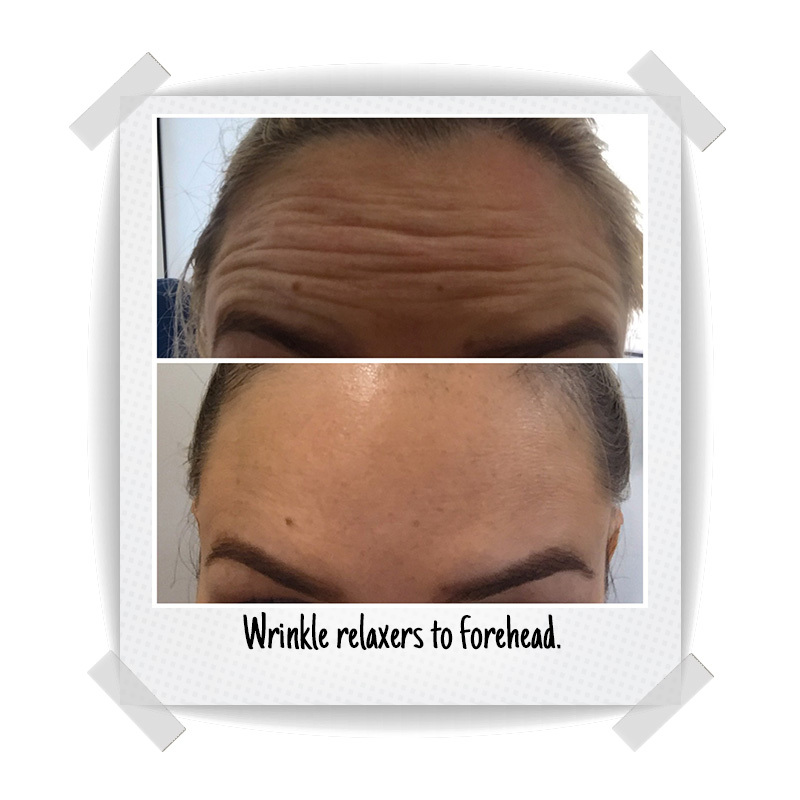 Many clinical trials and studies have been performed on wrinkle relaxers and we see very few side effects in clinic. They can do so much more than just relaxing wrinkles, it can be used in the treatment of chronic migraines, teeth grinding and even stop excessive sweating! How Much Does It Cost and how Much Do I Need? These are two very common questions. Wrinkle relaxer Type D costs $4.50 per unit. It’s hard to give a quote without seeing you first as everyone’s muscles and facial anatomy is different. If you need a quote and cannot come in for a consult first, get in contact with me and we can discuss it. To get optimal results from your wrinkle relaxer treatment, here are some aftercare instructions. It is important to follow these to avoid adverse side effects.